If you’re wondering if I started these 25 Days late you’d be wrong. In case you missed it the first of my 25 Days of Christmas movies started with Marilyn Monroe in O. Henry’s Full House, so check it out if you’re a completist like me! On to today’s delightful Christmas film, the 2005 film adaptation of the Broadway show Rent! Let me preface this by saying a few of my films you’ll be seeing are bizarre. I tried to pick a diverse group of genres and a lot of these are films I don’t always watch on Christmas, I thought they’d be interesting to write about (most of the time I watch Scorsese movies on Christmas because nothing says celebrating the birth of our Lord like Joe Pesci beating someone to death). Regardless, Rent actually is a Christmas movie as it takes place and ends on Christmas although Halloween and New Year are thrown in as well. 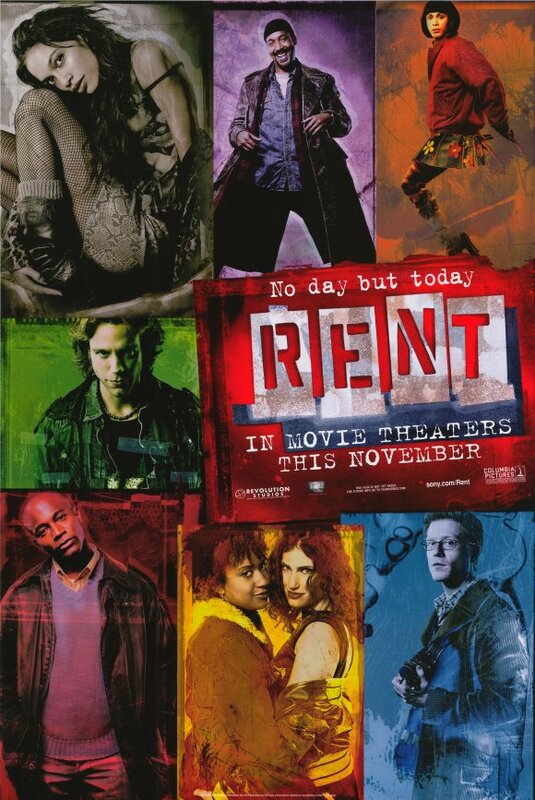 Rent is based on the long running play about young adults living in New York during the era of AIDS and poverty. Several of the characters have the fatal illness like stripper Mimi (Rosario Dawson) and drag queen Angel (Wilson Jermaine Heredia), while others are witnessing the effects of it like Mark (Anthony Rapp). They all go through ups and downs, love and loss, in a single year. So aside from the fact this movie spends its first and last half on Christmas, the movie definitely will make you thankful for what you have. It’s got a message of tolerance, living each day like it’s your last, and spending time with your friends and loved ones. It might make you a taste depressed by the end, but the play came out when AIDS was taking people left and right so it’s meant to make you sad. The film’s message seems eerily prevalent now with its focus on “Bohemians” fighting a “revolution.” I’m surprised the Occupy Wall Street people haven’t started blasting the film’s soundtrack and declaring it their mascot. I love this film as a theater geek whose seen it performed live. The music is fantastic and if you’re not humming one of the many songs from this movie you have a heart of stone. I prefer certain characters to others. Idina Menzel steals the entire film as the slutty Maureen and I blame her for my obsessive love of Broadway and Glee. The other characters aren’t bad, just relegated to the background like Taye Diggs’ as Benny. He’s just the jerk character with no depth. That leads me a recent discovery about this movie. It has a tendency to be bland, shallow and becomes the Cliffs’ Notes version of the play. Director Chris Columbus was an odd choice for this to begin with, I mean the man directed the first two Harry Potters! When I saw this in theaters I was a 17-year-old girl who just loved musicals. I didn’t know anything about Rent or it’s significance. I just knew people danced and sang. That led me to ignore a lot of the movie’s problems and I didn’t realize until I rewatched it tonight that it’s been a long time since I’ve watched this all the way through. The problems lie in how to handle the material, especially in 2005 when the issues of gay marriage and all were still boiling below the surface. The movie doesn’t know how to handle the AIDS storyline and it’s almost offensive at times. The subplot involving the Life Support meetings are the most moving scenes of the film that are meant to make you really think and feel for these characters. Yet they’re handled by a clumsy oaf who just shoehorns them in with no transitions before moving on to a relationship plotline. You’ll be in this somber moment of people talking about facing their own mortality, but hey let’s move on from that and look at the loveable relationship between Mimi and Roger (Adam Pascal). It’s as if Columbus or the studio didn’t know how to handle the darker elements of the story or didn’t want to alienate teens looking for a fun musical. I will give credit for Columbus making the film feel like the play. The ending of “La Vie Boheme” ends like an intermission and many of the sets feel like you were watching them on stage. Sure he tends to go overboard, especially towards the end with Roger taking a trip to Santa Fe that lasts all of five minutes just so they can show off that they had the money to go to a desert and have Pascal walk like Jim Morrison. It works, but it just feels like something’s missing. So yes Rent has a lot of problems, yet I love it. Why? Because of the music. I’m a musical nerd, give me song and dance and I’ll find something redeeming about it. Sure the characters are a bit too hipster, name dropping everything Maya Angelou to Bertolucci in just one song, but I love their wild Bohemian ways! I love Idina Menzel and Rosario Dawson, even when she’s a junkie stripper. Rent is probably not a good Christmas movie for everyone, but it will make you thankful for your friends and family. It’ll also give you a good soundtrack to mix in with all the cliché Christmas tunes! By the way to all my fans (I hope you’re out there! 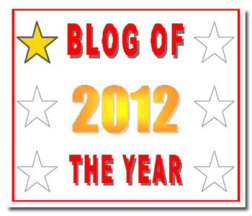 ), have you “liked” the blog’s Facebook page? Yep we’re on Facebook which makes a taste more official! 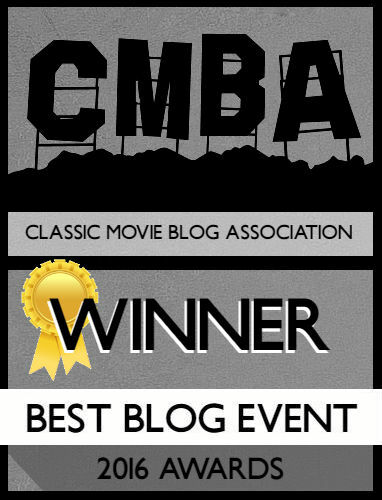 You can like the blog via the Facebook area on the left or you can add us at Facebook.com/JourneysinClassicFilm!